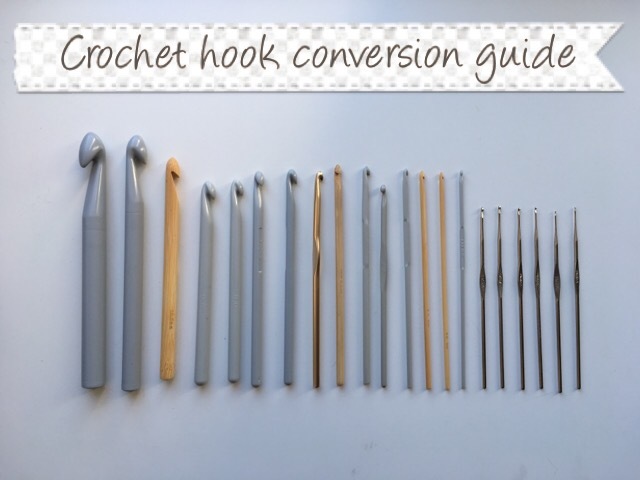 The English speaking world has somehow not managed to agree on terms for many things relating to crocheting – namely terms, hooks and yarn – yarn weights are called different things in the UK, US and Australia/New Zealand and crochet terms are different in the UK and US as well. It’s just the same with what the hook size is called. 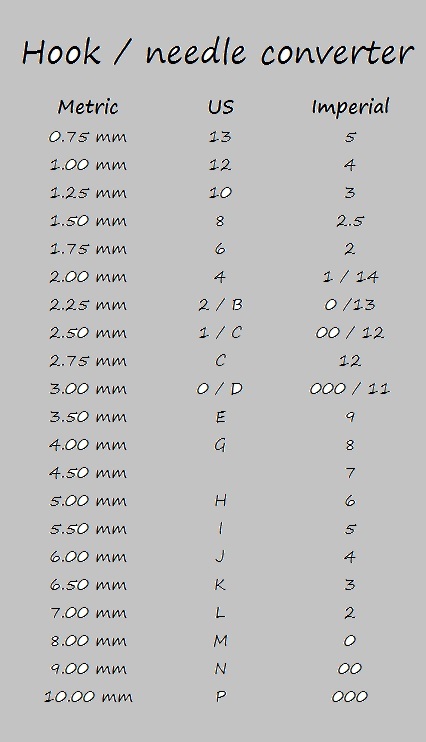 In the past in the UK Imperial measurements were used, whereas now size is given in Metric measures. I assume it’s the same on the European Continent. Below you can find a guide to converting from one to the other.